Behold! 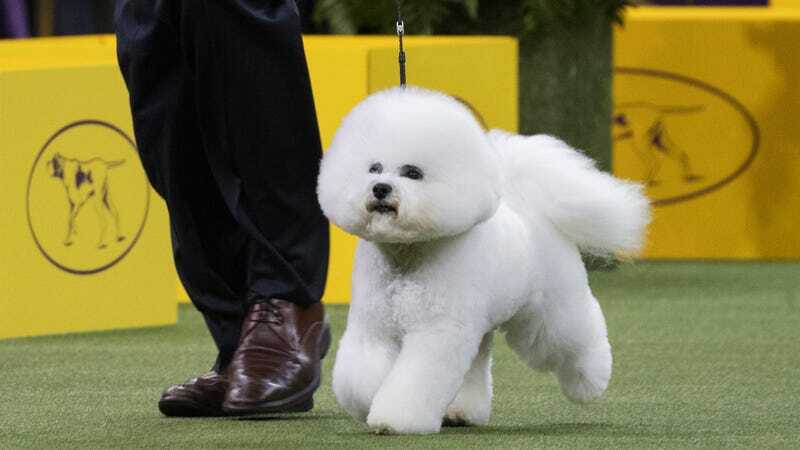 The winner of the 142nd Westminster Kennel Club Dog Show: none other than Flynn the bichon frise, pictured above. A very good dog—aren’t they all?—and yet, from my point of view as an idiot completely uneducated on the subject, not the best dog. Clearly not the best dog. Flynn, like any bichon frise, appears to be not so much a dog as five oversized cotton balls stacked on top of each other like toddlers in the proverbial trench coat.